SHERWOOD — The Sherwood High School boys basketball team just might have all the right ingredients. Talented returnees, promising newcomers, strong work ethic, team chemistry — the Bowmen may have all of that going for them. And, they're hoping, that could lead to a successful 2018-19 season. 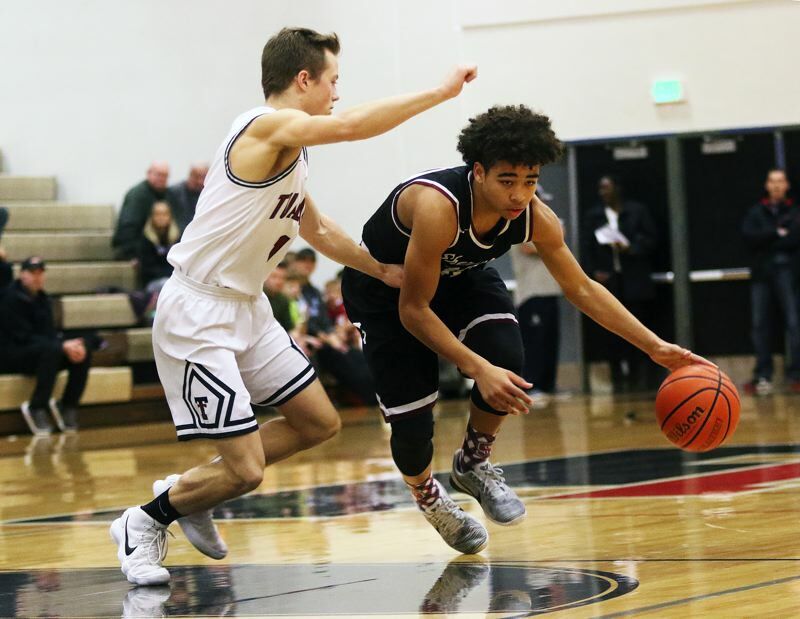 "We have a lot of pieces to replace after graduating some of our leading scorers, defenders and rebounders, but we have guys that played significant minutes last year and other guys that have improved a ton and are ready to contribute at the varsity level," Sherwood coach Rahim Tufts said. "We really gelled, grew together and improved over the summer, fall and early stages of the season so far." 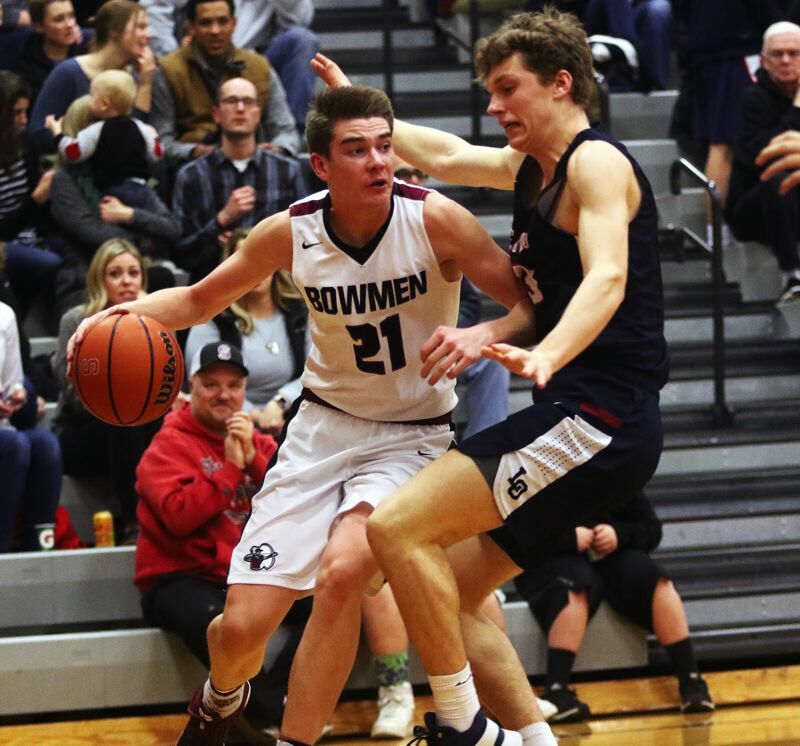 The Bowmen have some key returnees back from last year's squad that finished in fifth place in the powerful Three Rivers League, at 6-8, while going 13-12 on the season. Among those returnees is junior Jamison Guerra (5-foot-11), who is beginning his third season as Sherwood's starting point guard. Last year, as a junior, Guerra was a first-team All-Three Rivers League selection. "Now that he is a junior, he is ready to lead our team," Tufts said. "He'll be a coach on the floor and dictate how the game is played." Senior wing Braden Thorn (6-5) also returns for the Bowmen this season. "He is poised for a breakout year and has been a leader since the day the season ended last year," Tufts said. "He has pushed himself and his teammates in the weight room and on the floor." Senior guard Tyler Hix (6-1) is another key varsity returnee for Sherwood. "Along with these (Guerra and Thorn), Tyler Hix is a steady force for us and brings a calmness to the floor," Tufts said. Senior post Charlie Bulfinch (6-4) also returns from last year's Bowmen varsity. Among the key newcomers for Sherwood will be junior post Blake Jensen (6-6). "A player that will make a big impact this year is Blake Jensen," Tufts said. "He just keeps getting better and better and led the junior varsity in almost all categories last year." The Bowmen also will have a key new trio of seniors on the roster in wing Ryan Sandilands (6-0), wing/post Jacob Schweitzer (6-1) and guard Cade Chidester (6-1). "They'll bring shooting and toughness," Tufts said. Sophomore guard/wing Asher Krauel (6-1) is another key newcomer for the Bowmen. "He has established himself as a major contributor on both ends," Tufts said. "He has a high IQ, is super competitive and can really defend and rebound at the guard position." Other players on the Sherwood varsity roster include junior guard/wing Dallin Marker (5-11), senior guard Caden Snelling (5-9), senior wing/post Isaac Day (6-3), sophomore guard/wing Colby Mullins (5-9) and sophomore guard/wing Caden Davis (5-11). "We have a nice balance of shooting and post play," Tufts said. "We will be able to rebound well which will help us get out in our transition game. There are a lot of question marks this early in the season, so we will see how we play once the lights come on for our first real game." Sherwood will play in the new Pacific Conference this season. "We are excited for our new league," Tufts said. "It will be a super competitive league, well coached teams and a grittiness that we are excited to be a part of. Our goal is to finish in the top three and make the playoffs. I know McMinnville will be very good as well as Newberg. Both teams have inside/outside threats and are well coached." The Bowmen will open their season tonight (Friday) when they play at Beaverton in a non-league game scheduled to start at 7:15 p.m. On Saturday, Sherwood will be home to face Roosevelt in a 4 p.m. non-league contest. On Tuesday, the Bowmen will travel to David Douglas for a 7 p.m. game.